This entry was posted on July 5, 2012 by fmichellemoran. It was filed under Things and was tagged with art, photography, wigs. Great perspective lines, good composition, interesting subject! Thanks! 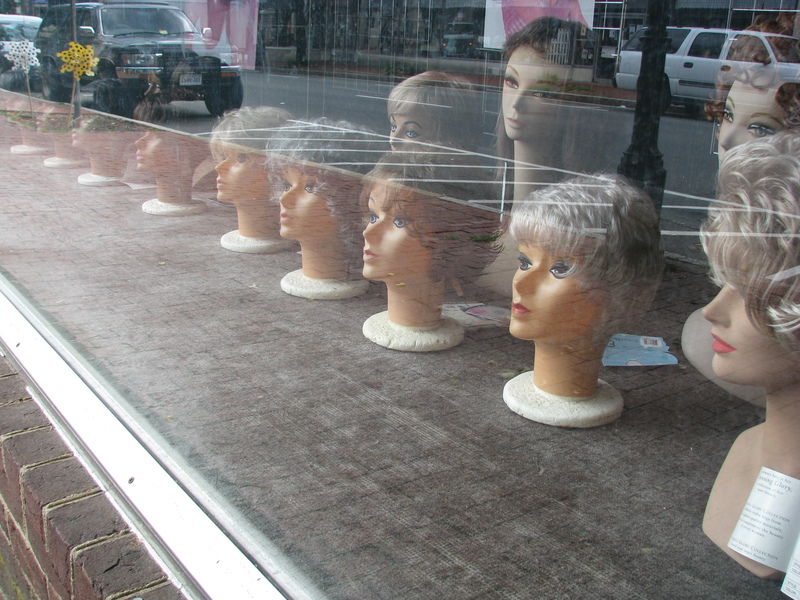 I couldn’t resist those ladies all lined up like that. This is cracking me up! Do women really still wear wigs??? Love the photo!